Defense Minister Avigdor Liberman was interviewed by the Russian newspaper Kommersant, during which he spoke about confrontations with Russia and Syria in recent weeks. "We are not looking for any confrontation with Russia, and on the contrary, in recent years, an open, clear and transparent dialogue has been created with Russia, both when our opinions are compatible and incompatible. “As far as I am concerned, Assad is a war criminal, responsible for the deaths of more than half a million citizens of his country. But we are not going to interfere in Syria's internal affairs. What we will not tolerate is Iran's attempts to turn Syria into an outpost against Israel. Any attempt by Iran to establish itself in Syria will be thwarted. “If Assad does not intervene - it would be very wise of him not to, as we do not plan to interfere in Syria's internal affairs. If his forces, his aerial defense systems, open fire against us - we will open fire against them. There is a hotline between the IDF and the Russian army forces in Syria. We always take into account Russian interests, and hope that they will take into account Israel's security interests. “If the S-300 systems are not directed against us - that's one thing. If these systems open fire against our planes, we will definitely respond," he said. 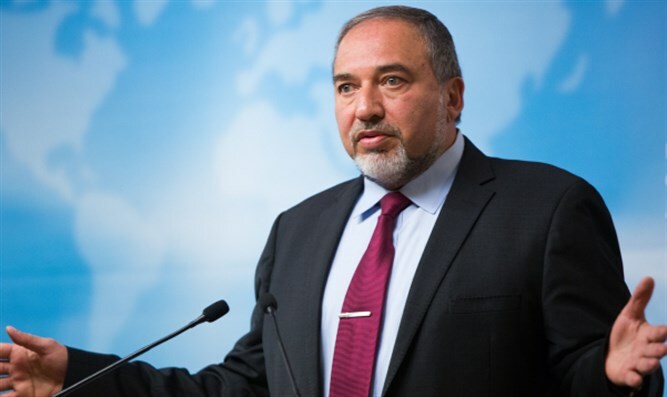 Liberman was asked about the documents presented by Prime Minister Binyamin Netanyahu on the Iranian nuclear program - can this be viewed as proof that there is an unequivocal violation of the agreement by the Iranians? "Unambiguously, yes ... The published documents unequivocally prove that Iran actively acted not only to enrich uranium but to create nuclear weapons. They simply temporarily froze the program in order to obtain maximum benefit from the agreement so that they could go on later to create nuclear weapons. Moreover, they froze the production of nuclear weapons until they could get maximum benefit from the agreement. " Are there any new data pointing to violations that have been committed in the last two and a half years? "We are talking about the Iranian nuclear program in general, not about two years, not 12, not 20. We are talking here about why Iran needs enriched uranium, why do they need a nuclear program, when Iran has giant oil and gas reserves? Iran has always said that it is developing a civilian nuclear program, but from the beginning this was not its goal. Iran's nuclear program was not shut down - it was only frozen, in order to get maximum benefit from it and then return to it afterward. “This agreement should be treated just like the Munich agreement. It was a plan for a tired West that lost its strength for resistance, lost his political will and decided to appease the 21st century epidemic of radical Islam. Just as they tried to do with Hitler, and in the end they paid a very heavy price. In the end we will get an Iran with nuclear missiles. And in order to stop them later, we will pay a much higher price. “Iran's leaders come out every week with statements that they will destroy the Zionist entity. Unfortunately, we do not see an unequivocal reaction from Western Europe or Russia, which is very careful to remember everything that happened in World War II. And we expect a clear and unequivocal response by Russia to Iran's declarations and actions. "In recent decades, we have established special relations with Russia, very effective and transparent. We greatly value relations with Russia, even when our close partners put pressure on us... as in the case of sanctions against Russia, we have not joined them. Recently, many countries have removed Russian diplomats. Israel did not join in this action. We have normal relations with Russia and we take into account its interests. We hope that Russia will take into account our interests here in the Middle East. We expect Russia's understanding and support for our vital interests."